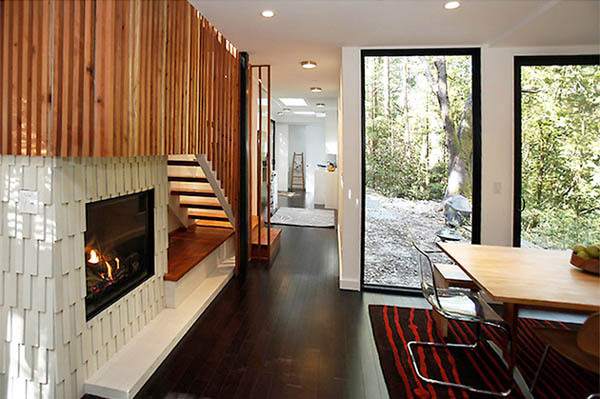 Looking to create the ultimate getaway in the Santa Cruz Mountains, a local family hired David Fenster of Modulus in sunny California to build this beauty. 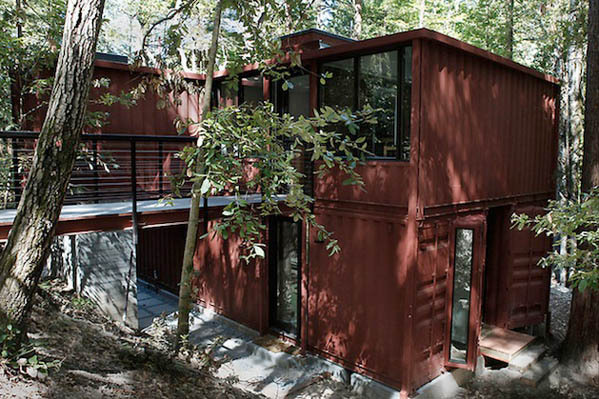 Fenster went with darker containers than many of the projects on this list, and situated the home atop an old railway that now serves as an underground escape route during an emergency. The home is 1,200 square feet.